There’re some beauty sacrifices, that are necessary, however, not all beauty demands sacrifice. Especially when it means your health or health of the environment. 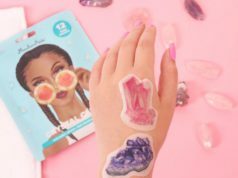 Today we are going to talk about AILA Cosmetics (pronounced as eye-luh), a brand developed by a surgeon, Dr. Cary who went through a hard time in her life that led to the creation of the brand. Dr. Cary has recovered from rare cancer scare, uneasy motherhood of the SPD child, and divorce. Many people give up when life puts weight on them, however, Dr. Cary used all of that to create a healthy atmosphere around her and that’s how the AILA brand was born. Dr. Cary says that she got rid of everything unhealthy from her life, including people, food, and what you put on your body, including beauty products. 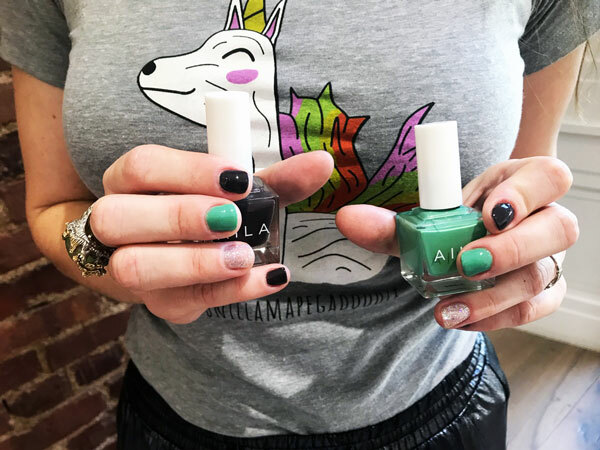 AILA Cosmetics is not chemical free, but the products are free of harsh chemicals and have healthy alternatives to ensure nail health and quality of the product. AILA is not water-based as water grows bacteria and to prevent it from growing companies add chemicals that are not healthy, and if not. Nails are porous and can absorb chemicals, therefore AILA advocates waterless manicures and pedicures. For our test and review, we chose: nail lacquers, base(primer) coat, top coat, nail remover, cuticle oil. We chose a variety of colors: Mister Pookies – a perfect color for this autumn, brown-gray with purple undertones, Skeeflink – Skeeflink was Dr. Cary’s childhood nickname given by her grandfather, the lacquer has a light, gentle green color, you feel confident just by looking at it. Zweetchy Jones – a sparkly lacquer, named after Dr. Cary’s fiance nephew, who asked if she can name a color after him. House of Paine – a classic black color to wear with your evening dress, named for Tree Paine. All nail lacquers are vegan, cruelty-free, and gluten-free products made without formaldehyde, sulfates, parabens and other harsh chemicals. Our experts reported that all lacquers have a great coloring, they don’t chip, and are very shiny! Base coat – Prime – infused with garlic that promotes nail growth. Zinc, Calcium, and Selenium strengthen the nails while Allicin and Sulphur provide anti-fungal and anti-bacterial properties. The Prime helps to prevent yellowing of the nails. Top Coat – Better Than Gel – provides a sleek finish to your manicure protecting your lacquer coat and colors. No UV light is required, the gel hardens really fast providing an external protective barrier making a manicure more durable. 3-in-1 Nail Color Remover With Pure Argan Oil – a healthy alternative to acetone, a 100% natural, soy-based formula color remover. While effectively removing nail color it affects nails and cuticles with A, C, E vitamins and pure Argan Oil. The oil promotes anti-microbial and anti-fungal properties, while vitamins work as a natural anti-oxidants and anti-inflammatories. Sunflower and Cottonseed oil – rich with vitamin E that protects, nourishes, and strengthen the nails. Jojoba oil – resembles the natural sebum and replenishes the moisture. Camellia Seed Oil – fast absorbing oil rich in vitamin E promoting healthy growth. Agran Oil – providing anti-oxidant and anti-inflammatory properties. Tea-tree oil – healing properties and protects from microbial infestation. 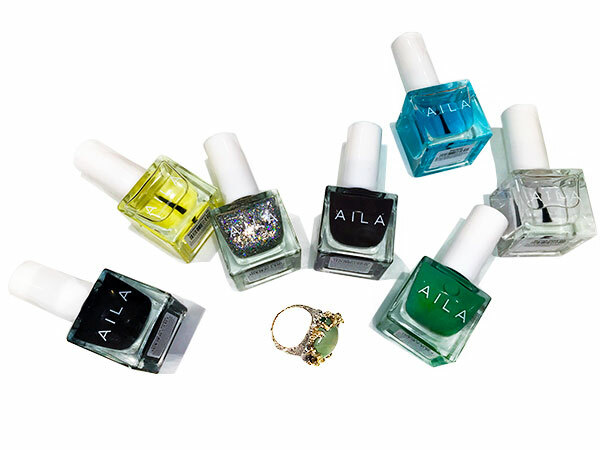 We are in love with AILA products recommend it for all our readers who really care about the health of their nails! Also, Aila has perfect Unicorn UNILLAMAPEGADOODLE T-shirt that is a nice match for any occasion!